We are taking a deep look at an old Soviet prime lens – the Helios 44M-4. It comes with a fast f/2.0 aperture and fixed the focal length of 58mm (87mm on APS-C sensor). 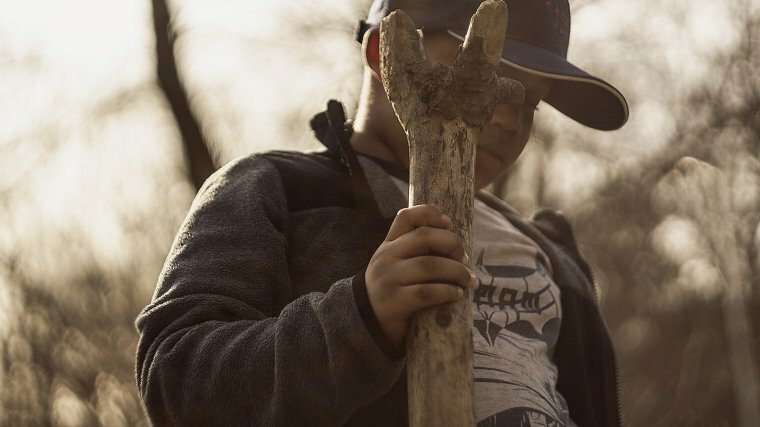 Despite decades-old technology, the Helios 44 lenses are a far cry from being forgotten. Fine art and portrait photographers both adore this lens. The 44M-4 looks solid on paper, but what is all this fuss really about? Well, the 44M-4 has a kind of special ability, albeit an unintentional one. A defect in lens design is responsible for what is commonly known as “swirly bokeh effect“ and this one of the reasons enthusiast photographers are falling in love with it. Another reason is its very cheap price tag. Before going any further, we should first take a quick look at the history of Helios 44 series. 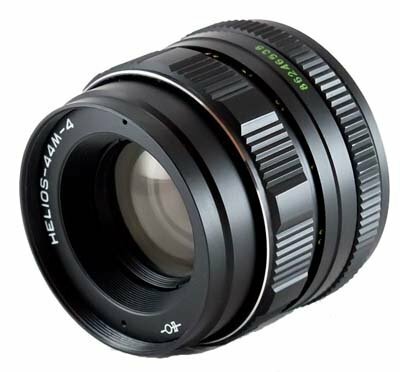 The Helios 44M-4 lens is one of many variations in the Helios 44 line of lenses. These were produced in the Soviet Union from 1958 to 1992 on a massive scale. 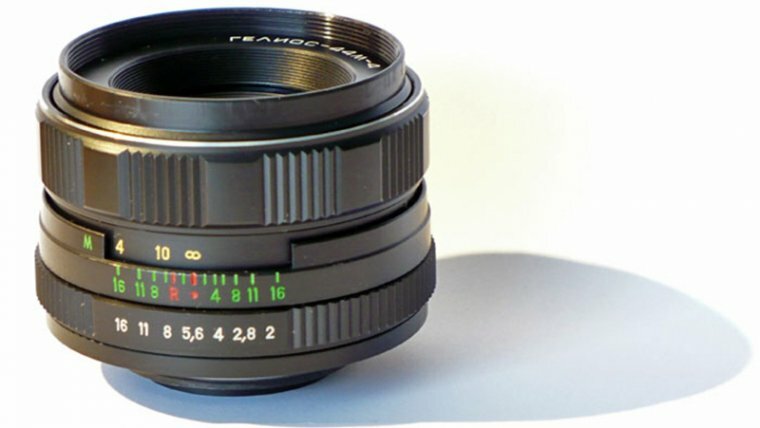 In fact, the Helios 44 is one of the most widespread manual lenses in the world. Because of the large numbers produced, these lenses are very affordable today and can be found in very good condition. The internal design is based on then-popular Zeiss Biotar 58mm f/2 lens, copying what is a very fast, six-element (in four groups) anti-stagnat. The version being reviewed here is the Helios 44M-4. “44” is the line of lenses in the 4-series of Helios lens. “M“ is a designation for the type of mount used. In this case, the M42, 42mm screw mounting standard which was predominantly used on 35mm SLR cameras from 1947. When it was invented, until the 1970s when it became obsolete. 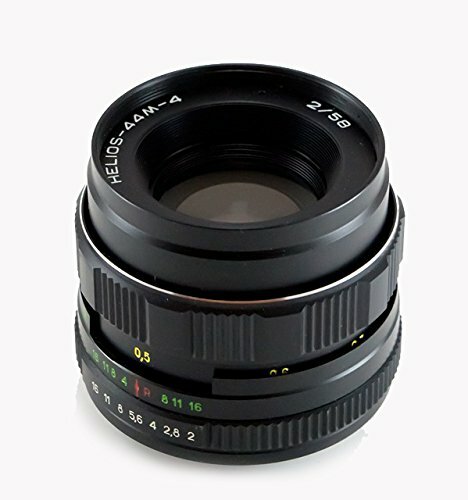 Helios 44M-4 was originally coupled with Russian Zenit SLR cameras which used this type of lens mount. Today, the 44M-4 can be mounted on modern DSLRs using an adapter. Finally, the “4“ after the dash is an optical resolution index, which ranges from 2 to 7 depending on the lens version. In our case, the optical result ion index is 4. The 44M-4’s outer casing, like others in this series, is made almost entirely out of thick metal. Looking at it from the rear, you can spot a layer of inner plastic casing. Other than that, everything else is metal and glass. This explains why so many models have survived until today in perfectly good condition. The Soviet engineers over at Jupiter obviously took it very seriously when they were told to produce a lens with high durability. It’s relatively small but hefty. At 250g, it is a lot heavier than modern lenses of the same class. But this only adds to the feeling of quality given off by the smooth metal finish. Most of the lens is black, with the exception of the silver metal ring surrounding the front edge. There are several colorized numbering engraved onto the 44M-4 which aren’t exactly fine quality but they are practical and the color never wears off. The overall design is somewhat unrefined, but this lens wasn’t built to win beauty contests. That said, we love the truly industrial design of the Helios 44. This lens is all about manual – both aperture and focus can only be adjusted manually by physically turning the corresponding wheel. Both wheels have very good grip thanks to the sharp, line-textured knurling. Aperture control is operated using the first wheel, located at the rear of the lens, closer to the camera. There are 7 numbers written on it, each for one aperture (F) step; f/2, 2.8, 4, 5.6, 8, 11 and 16. The wheel is easy enough to turn, optimal insensitivity. 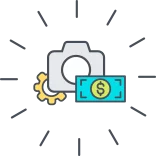 Each turn is accompanied by a mechanical click, so you always know when you have made a switch in an aperture. The focus ring is almost double in width and located at the far end of the lens. Rotating it takes a bit more effort compared to turning the aperture wheel. As you turn it you can see the focus distance just below the ring, marked in yellow numbers. Minimal focus distance is 0,5m and you can focus anywhere between there and infinity, but some distances are specifically marked at 0.5m, 0.6m, 0.7m, 0.8m, 0.9m, 1m, 1.3m, 1.7m, 2.5m, 4m, and 10m. Reading from this you can see how the focus becomes more sensitive as you focus further, jumping from 4m and 10m at the end of the marked range. This means it can a bit tricky acquiring accurate focus on subjects in distance. Especially because you can only use the viewfinder. That is unless you have a camera with a focus-peaking feature, which would be a picture-saver in situations like this. The 44M-4’s focal length of 58mm is interesting if a bit unusual. 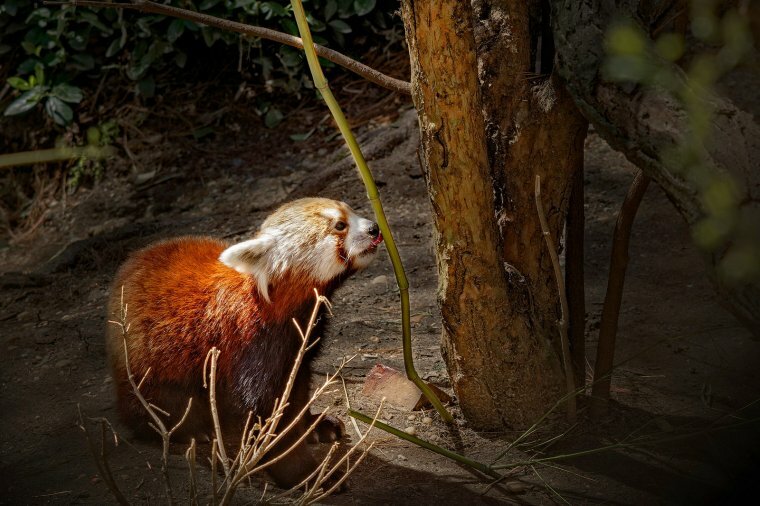 When mounted on a full-frame sensor it is good for portraits, nature and street photography. Being a prime lens you can’t you use zoom and it forces you to look for a perfect spot in terms of distance and angle. You have to be creative with this lens. If mounted on an APS-C sensor, the 1.6x crop factor will turn it into an 87mm equivalent portrait-to-telephoto lens. At this focal length, the field of view is considerably narrower, but the subject is also much closer. This can make for an interesting close-up portrait setup provided you manage to distance yourself from the subject accordingly. At a wide-open aperture of F/2, the Helios 44M-4 is able to collect a lot of light, enabling you to capture bright, noise-free photos in low light situations. And if shot in daylight, this allows us to use very fast shutter speed, meaning you will get crisp subjects even in if they are in motion. What is interesting is that images shot at larger apertures tend to have a very warm color tone, as opposed to stills captured at slower apertures such as F/8, F/11, and F/16 which have considerably colder colors, with a very clear blue tint. In our opinion, the warm touch of wide apertures is quite pleasing, although contrast is a bit on the low side, which can be easily corrected in post-processing. Photos were taken at slower apertures definitely require some post-processing to correct the overly cold colors. Bokeh (out of focus field of view) in 44M-4 is one of its strong suits. Wide open at F/2 you can get an extremely shallow depth of field, allowing for pronounced subjects against highly blurred backgrounds. Whether your background is greenery or a city street, it will produce beautiful bokeh regardless. From F/2 – F/2.8 we have noticed the out of focus background has a soft, dream-ish effect, especially around highlights. Do note that the combination F/2 aperture and a focal length of 58mm (87mm equiv.) makes manual focusing a tricky matter. A fraction of a millimeter in the movement of the focusing ring can make your subject out of focus if you are trying to accurately focus on a distant subject. The Helios 44M-4 generally produces pleasant warm tones with a pinch of softness which we have come to expect from old, vintage lenses. Sharpness is heavily dependent on the F number you are using. At F/2 everything is relatively soft, though the center of the image still has a reasonable amount of sharpness, everything on the edges being very, very soft. So, shooting wide-open, make sure you always keep your subjects around the center. There is also considerable vignetting and optical abbe rations around the edges. As we move up the F-number, the image gradually gains sharpness all over the frame, but it’s not until F/5.6 that the sharpness becomes usable at the edges and very decent in the center. Stopped down to F/8 is probably the best aperture for acquiring crisp photos. At this point, most of the Abbe rations and vignetting around the edge is gone and the whole image becomes well balanced. Another potential issue can be lens flare. When the lens is wide open the light coming at narrow angles can reflect between the glass and produce a lens flare effect. In some cases, this adds to the charm of a photo while in other cases it produces an undesirable effect where images become unevenly lit, with a bright yellow tint. To conclude, the overall image quality of the 44M-4 is decent. As long as you keep your subjects close to the center, you should get usable results in terms of sharpness, even at F/2. Swirly bokeh The swirly bokeh we have mentioned is an interesting effect you can get with this lens and it is the reason why it has become so popular, aside from being very affordable, fast lens. This effect is best produced when the lens is mounted on a full-frame camera, but it can be achieved on an APS-C camera as well. In fact, we will show you some samples of this effect which were captured on a Canon APS-C camera with a crop factor of 1.6x. It’s called swirly bokeh because the blurred background seems to “swirl“ around the center subject in a radial shape when appropriate conditions are met. To achieve this, you need to find just the right distance between the lens and the subject, and the right distance between the subject and the background. For example, if the background is nothing more than the distant sky, you will not notice any swirl. The same goes for any homogeneous background. However, if your background has some sort of pattern, preferably with lots of contrasted parts, such as backlit foliage with strong highlights, you will start to notice it. We’ve found tree foliage with sun rays passing through to have the best effect, but it will also work with any foliage with a bright sky in the background. Make sure to keep the aperture at F/2 or F/2.4 and position yourself anywhere between 3 – 6 meters from the subject, with the distance between subject and background being between 10 – 30 meters. The Helios 44M-4 is an extremely desirable prime lens for any photographer on a budget. It is an old Soviet lens so you will need an adapter to work with your modern DSLR. Given the fact that it has been produced in such large quantities for decades, and its sturdy metal design, you can find this lens on eBay easily in good condition and for a very good price. It is best suited for portrait photography, producing slightly softer, but pleasing results compared to the modern lens of this type. Color tones are also a bit warmer than what you would expect, even in cloudy, cold environments. The results from this lens work excellently with black & white street photography. Its signature feature, the swirly bokeh effect, which is a result of a defect in the lens, gives out very interesting and unique bokeh. The focal length of 58mm (87mm full-frame equiv.) sits in the medium telephoto range and is a bit narrower than what we would want for an all-around lens, but it does provide an interesting level of zoom for close-up portraits and street photography. If you are a photographer on a budget and in need of really fast lens and if you are okay with a fully manual lens, you should take a look at Helios 44M-4 on eBay. You might already own a modern and perfectly capable lens in this focal length range, but if you are feeling extra artsy and experimental, we recommend you give the 44M-4 a try. “M” in the marking of the lens stands not for M42 mount but for Russian “M” (Моргающий) that means “blinking” aperture drive (mechanic) this lens was equipped with. H44M-4 has 41/20 (or sometimes listed 38/19) resolution and 50/30 is for H44M-7 model. And yes, this is the “clone” of CZJ Biotar 2/58 (optically) but recalculated for Soviet quality of glass. The quality of each specific lens depends on the manufacturer and the quality of the supplied glass. Helios lenses are widely known for their specific type of “pattern” with a plastic picture and the effect of swirling bokeh. These lenses are very cheap: You can find it for less than $ 20 as the average price in the rus secondary market and up to $ 50- $ 70 per lens in excellent condition. Very interesting lens (if yuo’re lucky to get it in good condition and made with a good quality glass).